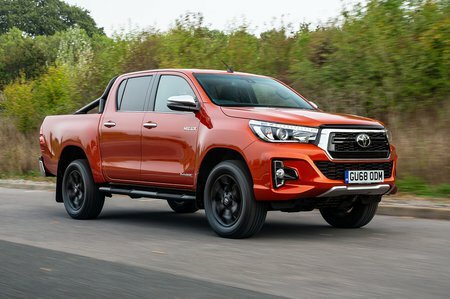 Toyota Hilux Performance, Engine, Ride, Handling | What Car? Toyota may have tried to make the Hilux drive more like a conventional SUV, but it still feels pretty agricultural. The 2.4-litre diesel starts with a grumble before settling into a distinctive clatter that only gets louder and coarser as you accelerate. Things do settle down at a constant cruise but the noise never entirely goes away. Likewise, there’s a fair amount of wind noise from the big mirrors. 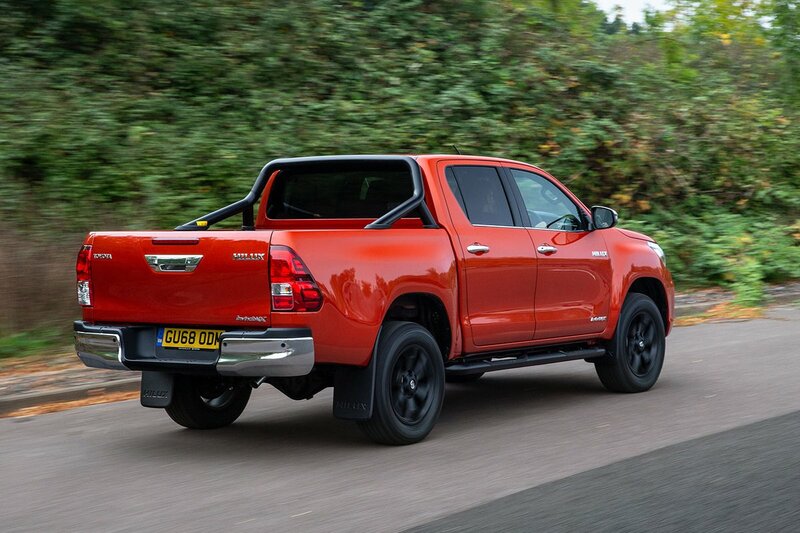 With just 148bhp to shift over two tonnes of truck, performance is as leisurely as you’d expect. Yes, there’s enough shove to keep it bowling along at motorway speeds with ease, but it takes a while to get there. If you’re not in a hurry, the engine proves flexible from low in the rev range, just want you want for towing or hauling heavy loads. The six-speed manual gearbox might have a long throw, but it’s surprisingly slick, beating the Navara for shift quality. An automatic ‘box is optional and improves performance but produces more carbon emissions. It feels very old school, slurring heavily between gear changes. Because the Hilux has to deal with huge weights in its bed, the rear suspension is stiff. This causes the back of the truck to feel bouncy over speed bumps and rough roads. Not only is this uncomfortable, it can be quite unsettling until you get used to it. That said it’s a trait that is common in all pick-up trucks. 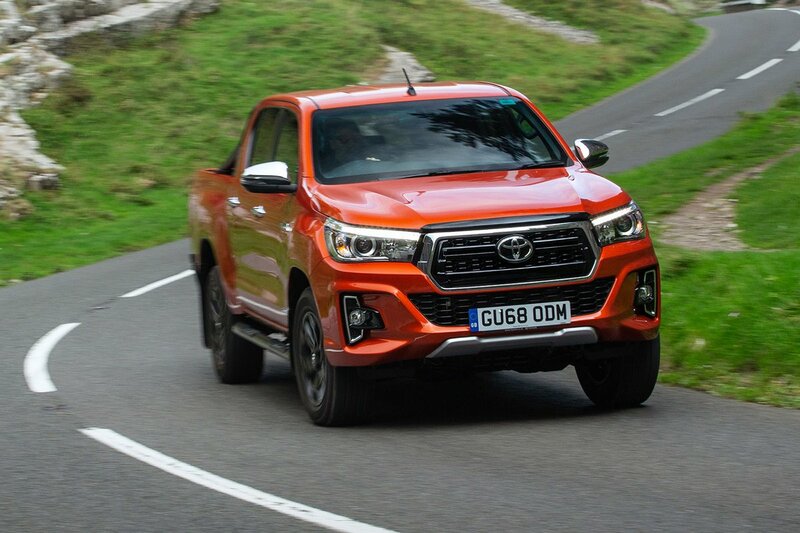 While stiff suspension usually helps handling, the Hilux quickly feels out of its depth if you pitch it in to a corner hard. The soft front suspension means lots of body lean and you don’t have to be going fast for the tyres to start squealing and then run out of grip. The saving grace is that the Hilux is virtually unstoppable off road.